IDEAL MEETING ROOMS IN BANGKOK FOR MEETING PLANNERS SEEKING FOR COMPLETED MEETING SOLUTIONS IN THE HEART OF THAILAND’ S CAPITAL CITY. 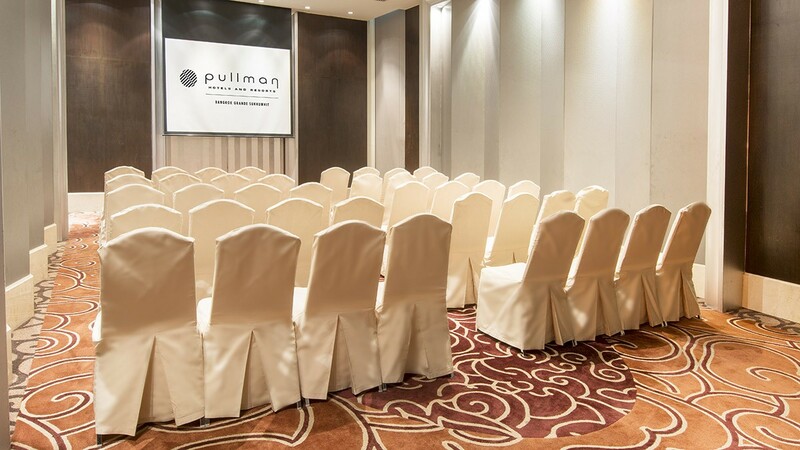 Pullman Bangkok Grande Sukhumvit offers 15 dedicated meeting rooms in Bangkok with total space just under 2,000 sq.m., accommodating from 6 to 500 meeting delegates. The meeting room’s layout is highly configurable making it easy for any types of seating arrangement, whether you need the u-shape, classroom, theatre, oval, i-shape or even exhibition setting. If you’re looking for meeting rooms in Bangkok with natural day light, we have meeting 3 meeting rooms located on the 5th floor benefit from natural day light. Meeting Room 8-9, each room dimension are 8.7×7.6×3.4, total 58 sq.m. accommodating from 18-40 meeting delegates. Both rooms are designed to benefit from the natural day light. With The COMEETING BY PULLMAN concept, we put the fun in functions and make your meetings manageable. 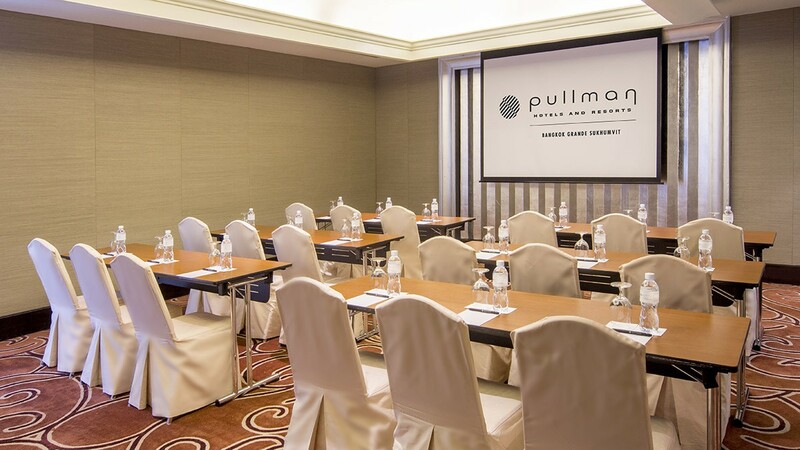 All meeting rooms in Bangkok at Pullman Bangkok Grande Sukhumvit are fully equipped with modern audio-visual system, large projection screen, and Wi-Fi internet connection for your convenience. The coffee breaks can be arranged in various theme settings to impress your meeting delegates and make your meeting a successful one. 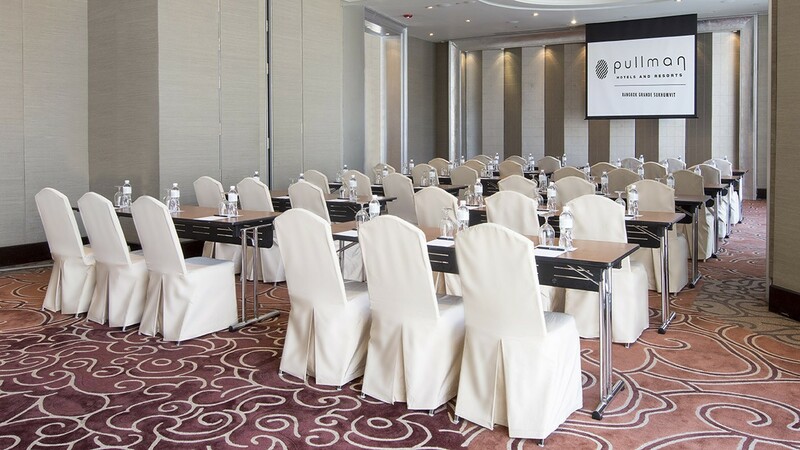 Pullman Bangkok Grande Sukhumvit pulls out all the solutions to make your meetings a success and exceed expectation. We offer not only choices of meeting rooms in Bangkok a variety of shapes and sizes, but, also the latest technology, creative breaks and banqueting as well as professional staffs who eager to cater to all your meeting needs.